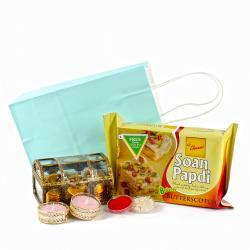 Product Consists : Gulab Jamun (Weight : 500 gms) along with Pack of Roli Chawal all this nicely packed in a Paper Gift Bag. 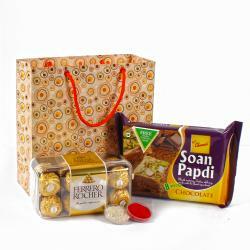 Give an uplifting treat to your brother taste buds on the occasion of Bhai Dooj this year. 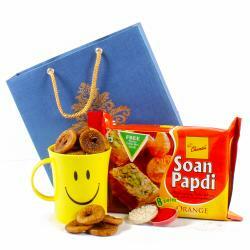 The gift hamper consists of a Bhai Dooj Tikka along with a pack of Gulab Jamun. The glistening golden brown gulabjamuns are hard to resist, once you start consuming. They will just melt in your mouth and are full of the goodness of mawa, ghee and sugar. 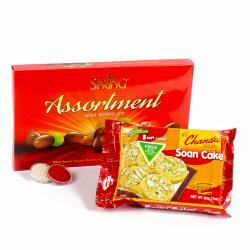 All in all, a perfect sweet to witness the auspicious occasion of Bhai Dooj and this is accompanied with a roli chawal kit. 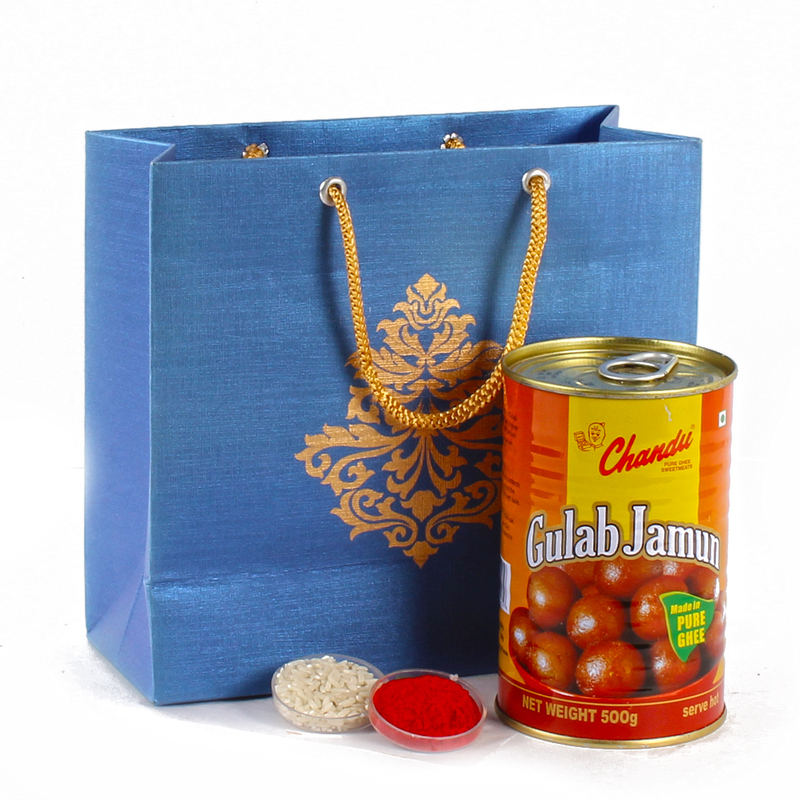 Product contains: Delicious Gulab Jamun (Weight : 500 gms) along with Pack of Roli Chawal all this nicely packed in a Paper Gift Bag.